A graduate from IIM and a senior director in an MNC, Kiranveer’s life revolves around his twins – Aditya and Aryan. He has lived in practically every metro in the country, and as a passionate traveller and an avid marathoner, he’s travelled all over the world. 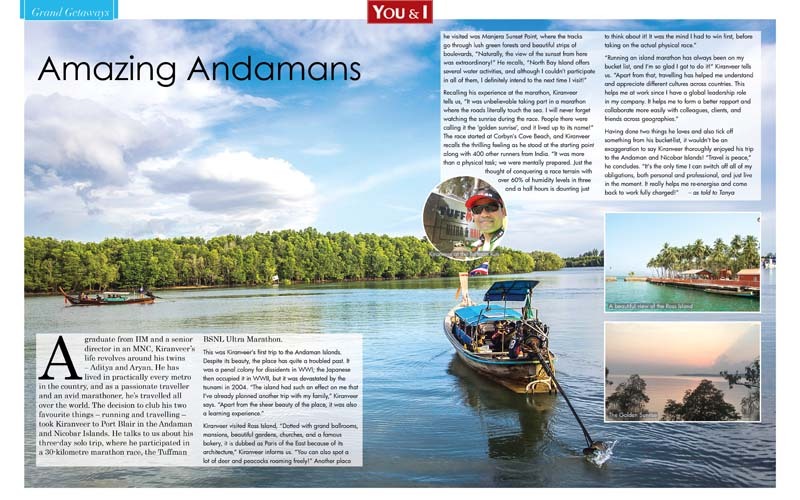 The decision to club his two favourite things – running and travelling – took Kiranveer to Port Blair in the Andaman and Nicobar Islands. He talks to us about his three-day solo trip, where he participated in a 30-kilometre marathon race, the Tuffman BSNL Ultra Marathon.